For more collector items visit LittletonCoin.com. 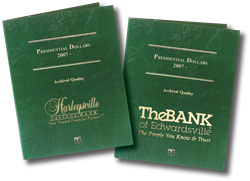 Customize your folders with your company name and logo. Ideal for sales promotions and give‑aways! with your company name and logo.